Hampton Preserve offers first class architectural design, combined with many outstanding features and amenities. 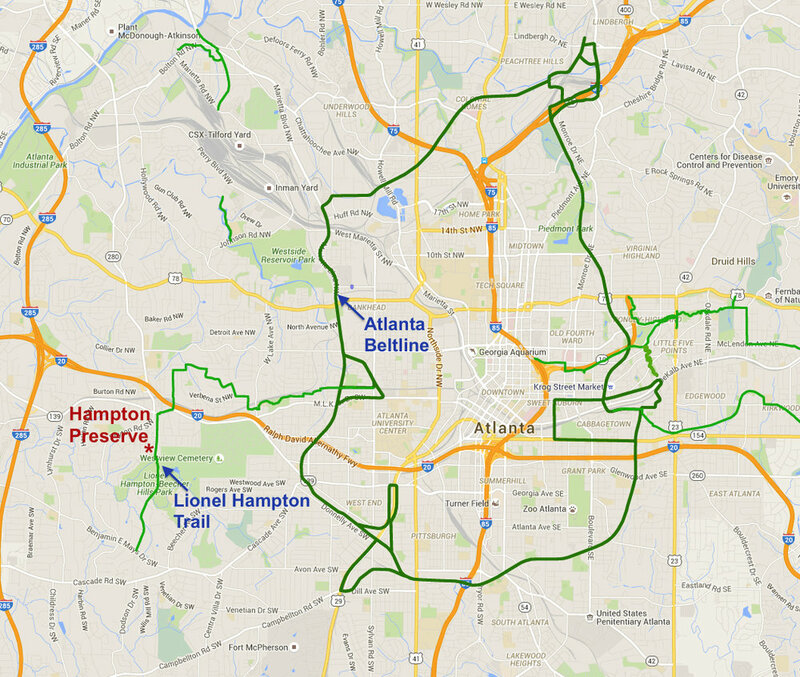 Located adjacent to Lionel Hampton Park, Hampton Preserve has direct access to the popular Atlanta BeltLine through the Lionel Hampton Trail, where your family can jog or bike on paved pathways, children can play on a professionally designed playground, and adults can use the LifeTrail® Advanced Wellness System, to keep fit. View each individual floor plan to discover a video guide, a virtual reality tour, floor plans and additional information. We want you to fall in love with our designs as we have fallen in love with them. Afterwards, please do not hesitate to contact us to schedule a viewing! Hampton Preserves wants to welcome you to your new home in Atlanta. Hampton Preserve is located only 1/2 mile from the H.E. Holmes Marta rail station, 10 minutes from downtown Atlanta, and 15 minutes from Hartsfield-Jackson airport, in addition to being located near I-20 and I-285 you could not find a more convenient location. Combining the highest standards of design and construction, Hampton Preserve creates an ideal environment for all residents. Hampton Preserve is more than just a subdivision, it's a neighborhood, a true community. It is a place where you can live life to its fullest, with your family and friends. Shopping, dining, and recreational activities and facilities are just minutes away. It is home. Located adjacent to Lionel Hampton Park, Hampton Preserve has direct access to the popular Atlanta Beltline through the Lionel Hampton Trail, where your family can jog or bike on paved pathways, children can play on a professionally designed playground, and adults can use the LifeTrail® Advanced Wellness System, to keep fit. Have FUN while getting in shape! Hampton Preserve properties are currently available but won’t be for very long! Make sure you get in early to reserve a spot to live in the hottest designer house within minutes from the heart of Atlanta.